The WS-AD3DCZP125RYG signal column can indicate various stages of the automated process, both normal as well as a failure mode. The column emits light (LED) and sound signals (up to 99dB). It is characterized with aesthetic design, quality and affordable price. 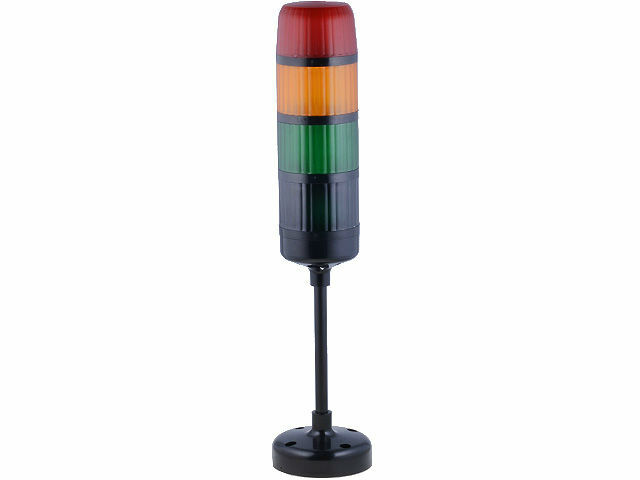 Different combinations of light and sound modules are available, the signal tower is manufactured in IP65 sealing class.